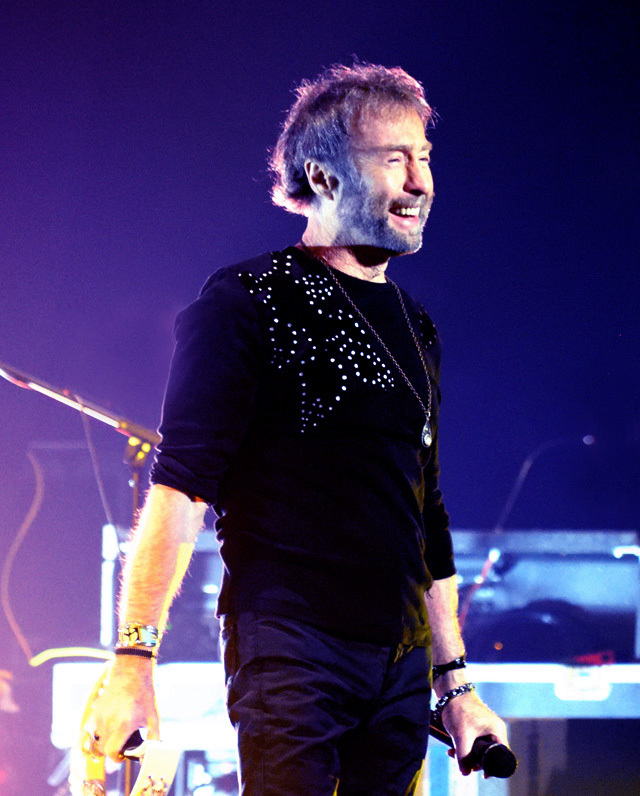 Share the post "Gig review: PAUL RODGERS/Deborah Bonham – Manchester Apollo, 8 May 2017"
We last saw Paul Rodgers and his band in 2011 when he performed a selection of his “greatest hits” spanning Free, Bad Company and solo. 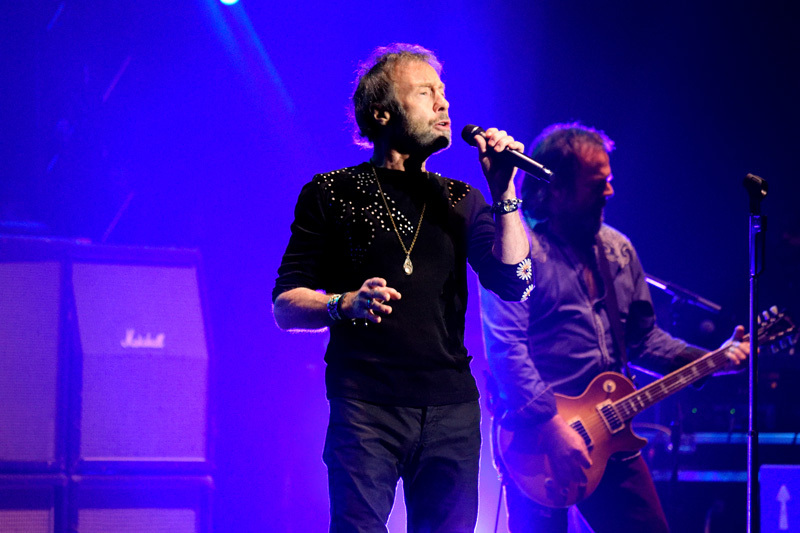 And of course in October last year he fronted Bad Company in what was an economical if entertaining resume. 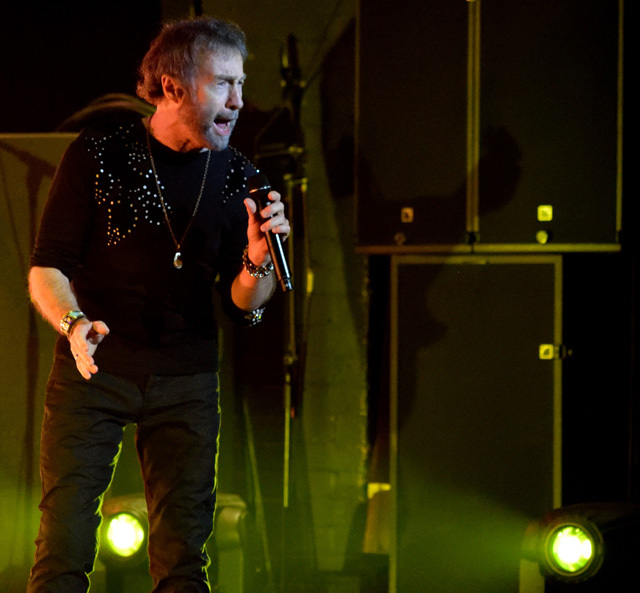 The latest tour celebrates the music of Free, the band where it all started for the vocalist nearly 50 years ago but one that had a short-lived, if successful, lifespan. 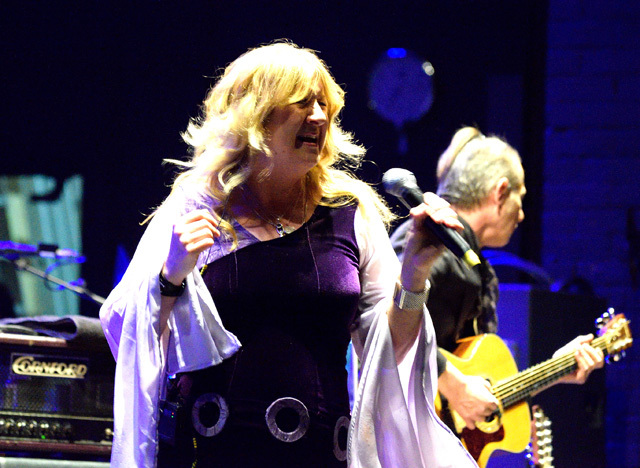 Special guest Deborah Bonham is a great friend of Rodgers, so much so that she evidently allowed him to pinch her band. 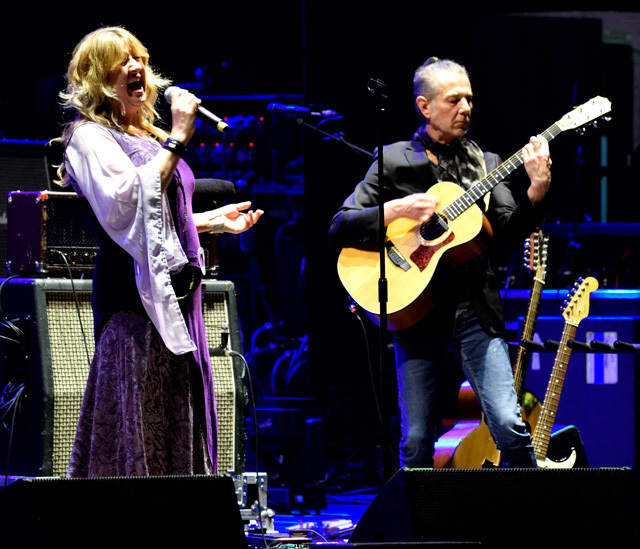 Deborah performed with only a guitarist – Doug Boyle, who has worked with Robert Plant and Nigel Kennedy amongst others. In truth, I think a band performance would have served her better and done more justice to a great back catalogue. We were also promised some songs from the reissued “first” album ‘For You And The Moon’ (now re-engineered as ‘Looking Back At The Moon’) but they never materialised. Instead this generous support slot was a great vehicle for Deborah’s voice and her personality – she quickly engaged the punters from the off. Amongst the highlights, inevitably ‘Painbirds’ and ‘Spirit In Me’ from the current album but the stripped back approach would have been more effective in a small club rather than a large venue such as the Apollo. 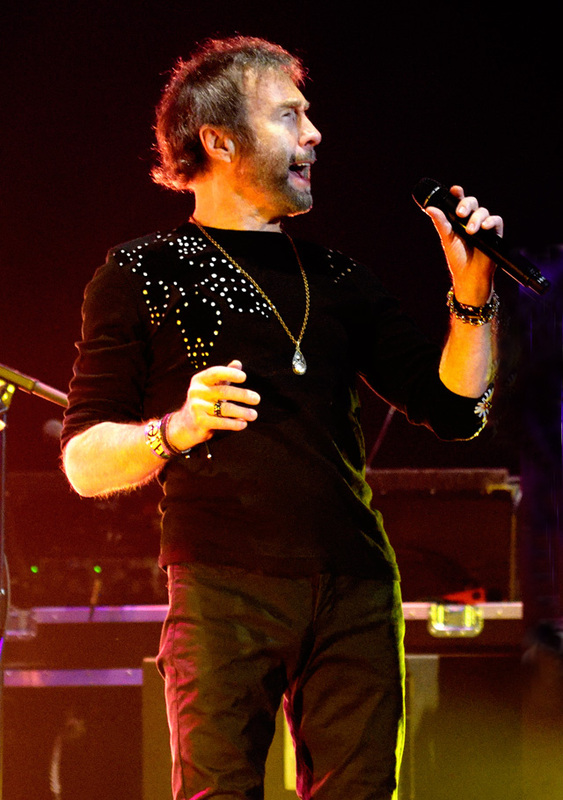 Paul Rodgers on the other hand was not so constrained. Looking youthful for his years and sounding magnificent, he made a one-and-a-half hour set look effortless. Interestingly, this tour doesn’t play too heavily on the “heritage” aspect. It’s only right at the end we get the “historic” back projections that testify a long lost golden age. The first half of the set majored on the ballads and the mid-tempo plus a couple of songs that Free never performed live (‘Travelling In Style’ and ‘Love You So’) But we also heard great renditions of ‘Be My Friend’ and ‘Come Together In The Morning’ before the gig turned on a spirited ‘My Brother Jake’. From thereon it was the proverbial rollercoaster ride, headed up by the pump and grind of ‘The Stealer’ and ‘Mr Big’, a passionate ‘Woman’ and incendiary ‘Fire And Water’. With the assembled multitude on their feet for ‘The Hunter’ the show was topped with ‘Wishing Well’ and, of course, ‘All Right Now’. The band, including Pete Bullick on guitar, acquitted themselves well and the emphasis was on accurate rendition rather than anything more risky. It may be a cliché but “they don’t make ‘em like they used to”. Free were part of an early-1970′s flowering of British Rock and Paul Rodgers at-times-conversational vocal style was both engaging and raunchy. This tour demonstrates that he has lost none of that appeal. He may even sound better now than he did back in the day and for that he stands elevated amongst his peers as a true, enduring, “voice of rock”.